2018 marks the 100th birth anniversary of Korea’s best known composer, Isang Yun (1918-1995). His work has received many performances and recordings but he is not exactly a household name and live performances are still not very common. Yun is well known for his having been kidnapped by the South Korean secret service from his home in Germany in 1967 due to alleged espionage. He remained a prisoner for two years and was subjected to torture and forced interrogations. It took intervention from the artistic community to secure his release and the petition included signatures of Igor Stravinsky, Herbert von Karajan, Luigi Dallapiccola, Hans Werner Henze, Heinz Holliger, Mauricio Kagel, Joseph Keilberth, Otto Klemperer, György Ligeti, Arne Mellnäs, Per Nørgård, Karlheinz Stockhausen, and Bernd Alois Zimmermann. He was held for the better part of two years and never again returned to South Korea. This fine 2 CD set is the first release in what this writer hopes will be a series of recordings of Yun’s major works. Dennis Russell Davies has demonstrated both knowledge and mastery of new and unusual repertoire as well as that of established works of the western canon. Despite many recordings of his work in the past those recordings were (and still are) notoriously difficult to find so this set is especially welcome. Here Davies joins forces with the Bruckner Orchestra Linz and the talents of soloists Matt Haimovitz, Yumi Hwang-Williams, and Maki Namekawa to record a sampling of Yun’s works. In addition to the first (of three) Violin concerto (1981), the Cello concerto (1976), and a sampling of chamber works including Interludium in A (1982) for piano, Glisees (1970) for solo cello, Kontraste (1987) for solo violin, Gasa (1965) for violin and piano (probably the composer’s best known piece), and a short orchestral piece, Fanfare and Memorial (1979). If you don’t know Yun’s work this is a fine place to start. If you already know his work you will want to hear these performances. These are definitive and will set the standard for all that follows. The concertos are somewhat thorny and dissonant but deeply substantive affairs that challenge both orchestra and soloist. Yun’s style draws more from modernist (think Darmstadt) than romanticism but he is capable of great beauty within that context. In both concertos the soloists must deal with virtuosic challenges but each concerto provides a marvelous showcase for their skills. Hearing them played by musicians of this caliber they are shown to be masterpieces of the genre. The chamber music is similarly thorny at times but always interesting. This composer deserves to be better known and recordings like this with quality performances and recordings makes a great step in that direction. Yun was a prolific composer of pretty consistent quality so even a two disc retrospective such as this can only be a brief sampling. The choices of what to record can’t avoid taking on a personal dimension. Intelligent choices of repertoire combined with defining performances such as these will send the listener on a quest to explore more of his work. The relationship between politics and music is complex and varied. There are many instances of clashes between these two disciplines from the politics of state and church sponsored music to its repression by those same institutions. After centuries of Catholic church sponsored music a decision was made in 1903 to repress the performance of anything but Gregorian chant and any instruments except for the ubiquitous organ. The reasons for this decree have been discussed but the end result was less work for musicians. More recently the Nazi “degenerate art” concepts and the later proscriptions on “formalist music” in Soviet Russia similarly put artists and musicians out of work. In fact many were jailed or killed. Shostakovich and Prokofiev were high profile musicians who endured bans on performances of their music based ostensibly on claims that it brought (or potentially brought) harm to the state’s political visions. Even more recently the blacklist created by Joseph McCarthy and his acolytes perpetrated a similar assault on actors, directors and writers like Dalton Trumbo (recently dramatized in the excellent film Trumbo with Bryan Cranston leading the fine cast). This sad chapter of history did not completely end until the 1970s and only recently have efforts succeeded in restoring suppressed screen credits to these films. Many lives were destroyed or irreparably harmed. One hopes, of course, that such travesties will not be repeated but the recent efforts to eliminate the NEA suggest that such struggles remain with us. On February 18th Other Minds will present a centennial celebration of two composers’ births. Lou Harrison certainly expressed some political themes in some of his music but did not incur state sponsored political wrath. Unfortunately this was not the case with the other honoree of Other Minds’ 22nd season. 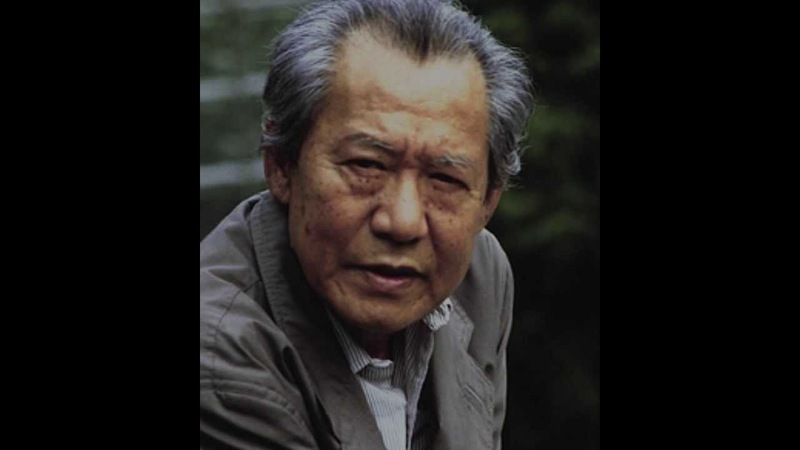 In 1967 Korean composer Isang Yun was kidnapped by South Korean intelligence officers and taken to South Korea to face accusations of collaboration with the communist government of North Korea. He was held for two years and was subjected to interrogation and torture based on information later acknowledged to have been fabricated. Even so South Korea declined to allow the ailing composer’s request to visit his hometown in 1994. He died the following year in his adoptive home in Berlin, Germany. A petition signed by over 200 artists including composers Karlheinz Stockhausen, Hans Werner Henze, Gyorgy Ligeti and conductors Otto Klemperer and Joseph Keilberth among the many was sent to the South Korean government in protest. A fine recent article by K. J. Noh, Republic of Terror, Republic of Torture puts the incident in larger political context. It is a lesson sadly relevant even now in our politically turbulent times. The concert will feature works from various points in his career, both before and after the aforementioned incident. It is a fine opportunity to hear the work of this too little known 20th century master. Conductor and pianist Dennis Russell Davies knew and worked with both Harrison and Isang. It is so fitting that he will participate along with his wife, justly famed new music pianist Maki Namekawa, in this tribute to the the late composer. This can’t right the wrongs but what better way to honor a composer than by performing his music? San Francisco, CA 94114. Tickets available (only $20) at Brown Paper Tickets.